Imperial War Museum Exhibition marking the sixtieth anniversary of the arrival of the MV Empire Windrush in Britain in 1948. To mark the sixtieth anniversary of the arrival of the MV Empire Windrush in Britain in 1948, From War to Windrush, a new special exhibition at Imperial War Museum London, tells the personal stories of West Indian people during the First and Second World Wars. Using historical material and personal memorabilia, much of which will be on public display for the first time, From War to Windrush explores the involvement of Black men and women from the West Indies and Britian on the frontline and home front during these conflicts. The exhibition also examines how their experiences contributed to the establishment of Britain’s contemporary Caribbean populations. Among the exhibits on display are pages from the MV Empire Windrush passenger list; the telegram from the King and Queen expressing their sympathy for the death of Walter Tull, the former Tottenham Hotspur footballer who became the first Black British Army Officer in 1917; and photos and audio testimony from Connie Mark, who joined the Auxiliary Territorial Service (ATS) in Jamaica in 1943 and served for 10 years in the British military hospital in Kingston, achieving the rank of corporal. Other items in the exhibition include the RAF flying logbook of Cy Grant, a navigator in Bomber Command, who was shot down over The Netherlands during the Second World War and spent the rest of the war in German Prisoner of War camps; Sam Martinez‘s passport, one of 800 men from British Honduras (now Belize) who travelled to Scotland in 1941 to work as foresters; and the MBE belonging to Sam King, who returned to Britain on the MV Empire Windrush after serving in the RAF and later became the first Black mayor of Southwark. Approximately 16,000 men from the West Indies volunteered to fight for Britain in the First World War, and over 10,000 servicemen and women answered the call of the ‘Mother Country’ during the Second World War. Thousands more served as merchant seamen. 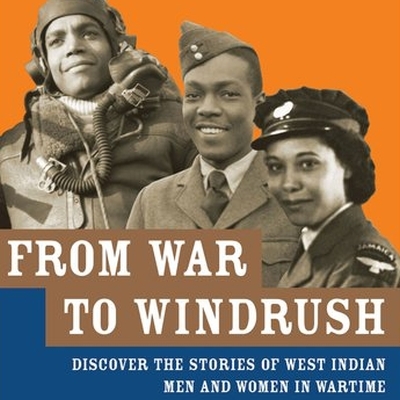 From War to Windrush explores how, despite facing discrimination during their service, many former Black West Indian servicemen and women and civilian war workers returned to settle in Britain after the Second World War. The MV Empire Windrush arrived at Tilbury docks on 21 June 1948. Four hundred and ninety-two West Indian passengers had paid the £28 10s fare to travel to Britain in search of work. Most were ex-servicemen. 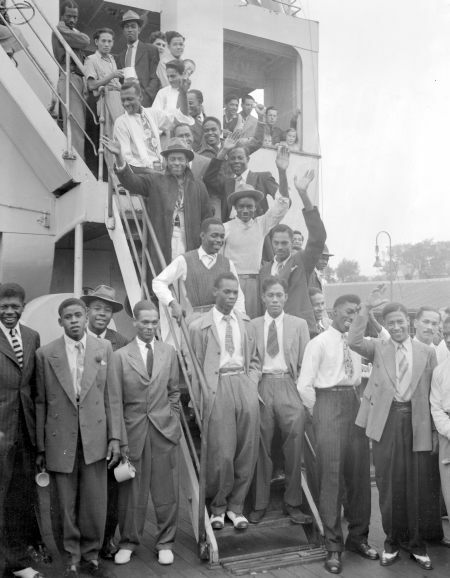 Although smaller numbers of West Indian passengers had previously arrived on other ships throughout 1947, the arrival of the MV Empire Windrush is now seen as a landmark in the making of a culturally diverse Britain. 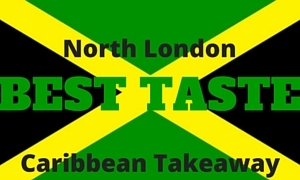 The first waves of mass immigration from the West Indies continued into the late 1940s and early 1950s, and 10 years after the arrival of the Empire Windrush 125,000 West Indians were living in Britain. 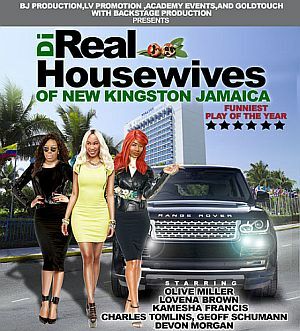 Today, one per cent of the current British population is of Caribbean background. From War to Windrush was developed in consultation with Arthur Torrington, Co-founder and Secretary of The Equiano Society and Windrush Foundation; Colin Douglas, Historian and Co-author of West Indian Women at War: British Racism in World War II; Stephen Bourne, Southwark Historian and author of Aunt Esther’s Story and Their Long Voyage Home, for the BBC’s 1998 Windrush season; Rev Dr Rosemarie Mallett, Curate and Lecturer in Caribbean studies; and Dr Hakim Adi, Reader in the History of Africa and the African Diaspora at Middlesex University and founding member and Chair of the Black and Asian Studies Association. 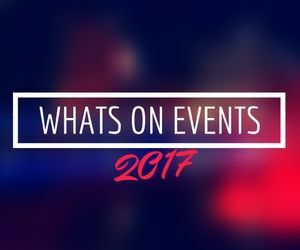 An accompanying series of free adult events will examine key themes featured in the exhibition as well as explore the wider experiences of Black men and women during the First and Second World War. 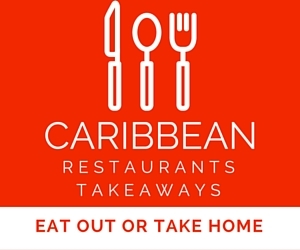 Topics covered include the history of Black people living and working in the UK before the First World War; the long relationship between the UK and the Caribbean; propaganda created for the Caribbean audience; American presence in the Caribbean; the experiences of Black Caribbean men and women serving in the UK; Black victims of the Nazis and post-war life in the Caribbean and UK.